Finding a Moment – V.J.’S Weekly Challenge #32: Stillness | Pictures without film. When the world feels like it is crashing down on me, I recognize the invitation. It is time. This week, I challenge myself to practice stillness, through meditation, breathing, yoga – however I find myself there. 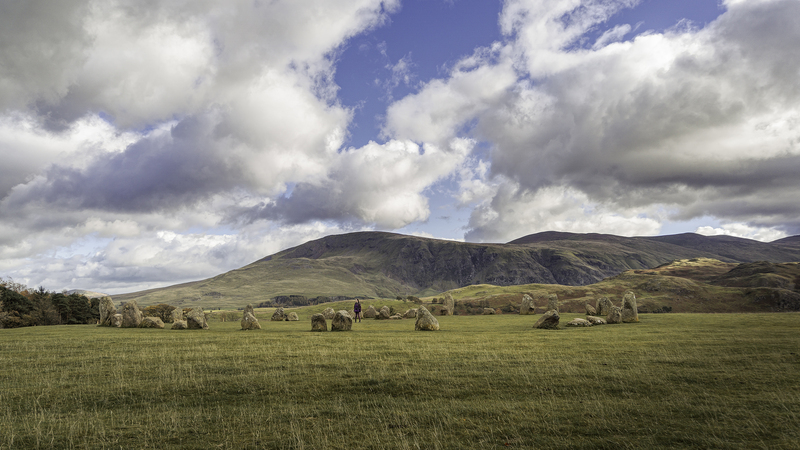 So before I find a place to settle down and find my own moment of stillness, here is a photo of Karen finding a moment of stillness within the stones at Castlerigg stone circle, October 2018. Previous PostFire – Photo for the Week – 25- Chimneys and FireplacesNext Post‘By’ & ‘At’ the bank – Tuesday Photo Challenge – Bank. What a numinous photo – just to breathe in the energy of that moment would be empowering. Thanks for sharing.